Prevention is the best medicine for a healthy home. 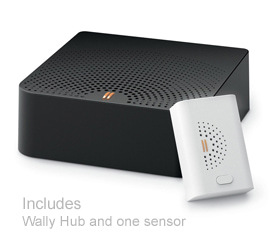 Wally uses wireless technology to create a network of sensors throughout your home, so you can be aware from anywhere. WALLY is peace of mind. WALLY connects you to your home. WALLY senses moisture. WALLY prevents leaks. 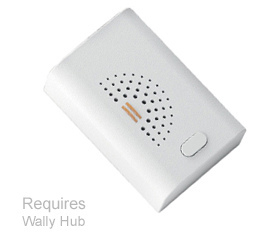 Complete home sensing whether you’re home or away, Wally looks out for leaks, temperature changes and humidity. With any change, Wally can alert you so you can take action immeditately. 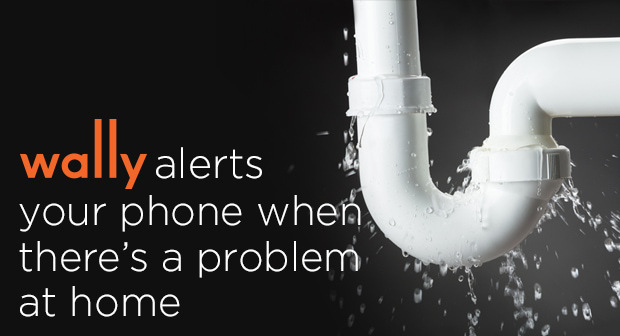 Protect your home from water damage from a burst pipe, overflowing appliance or failed sump pump with Wally—a no-hassle, smart technology that alerts your cell phone if it detects a water leak or an abnormal change in temperature or humidity levels. Everything you need to start monitoring your home from unexpected water leaks or abnormal changes in temperature or humidity. Connect one or more multi-sensors to a WallyHome hub to create a network of sensors so your whole house is covered.